Hello, and thank you for taking your time to learn more about me! My name is Shawna, I am a licensed professional counselor in the state of Mississippi. I have over 12 years’ experience working in the mental health field. I have worked in a variety of settings including: in homes, providing residential level of care therapy services, schools, youth court systems throughout the Gulf Coast of Mississippi, outpatient services, as well as a Child Advocacy Center. Although that seems like a mouthful, it simply means that I have had experience working in a several different settings, with a broad range of clinical issues. I believe the best way to truly understand what someone is going through is to understand where they come from, let them be the expert on themselves and provide the services they need to help them succeed. I have the most experience working with stress reduction, anxiety, depression, anger management, family conflict, parenting skills, relationship conflict, and complex trauma/abuse. I also have experience with a wide variety of mental health disorders. My dedication to the field of mental health stems from years of working with children, adolescents and their families, in state custody; along with watching friends and family members struggle with mental illness. I have seen firsthand that having mental health concerns can be difficult and cause feelings of despair and isolation; not to mention the process for getting help can be overwhelming. However, I also know from experience how much life can change for the better when you find the right support and take steps towards taking care of yourself! I use a person-centered, holistic, and eclectic approach in treatment, meaning I begin where you are and tailor my treatment approach to your needs while being sensitive to how your personal thoughts, beliefs and lifestyle choices impact your experience. I primarily use evidence based techniques including cognitive-behavioral therapy, mindfulness, motivational interviewing, and solution-focused counseling. However, I do incorporate more "classical" approaches to counseling as well. I would describe my style as warm and supportive, but I am ready to help you tackle your struggle head-on. I am very creative and do not like to conform our sessions into something that will place a box around it. I want it to go where it needs to go for you to get what you need to feel empowered and in control. Remember, no one is a magician. No one can "fix" your situation. It will take time and hard work on your part to make the changes you want. If you're willing to put in the work, I'm willing to walk alongside you and work as well! Together we can work on establishing goals and steps for you to understand the problem and gain the confidence to move forward and feel more in control of your life. Throughout my years of practice I’ve found a recurrent theme: the need to be heard, to be validated, and to know you are not alone! I have been working with Shawna for several months and she has provided good insights. The recommendations that she has made work. I have tried counselling previously with little success. I appreciate Shawna's support and direction. Shawn is amazing! One of the top counsellors I've had. She's supportive, knowledgeable , super open minded and has an amazing ability to guide you towards the right direction. Shawna was fantastic - thank you! Shawna has, in a very short time, helped me to see things more clearly. I feel more supported and are able to function with decreased pain. Shawna has been a GodSend to me in a very critical/pivotal point in my life. I have reached the point where I no longer feel that I need weekly counseling sessions, but will always come back to her as I need her. My whole world had turned upside down and she has helped me through it. Shawna has truly taken the time to help me re-build into the person I want to become. She's patient and tentative to your needs. I never felt as though she wasn't on board with my journey or process, and I think that's special. Extremely open and easy to talk to. Very helpful! Shawna is easy to communicate with, reassuring and timely in her responses. She provides resources to aid as well as personal projects to reinforce the techniques she proposes. Everything is given in a very practical and doable manner. Shawna is very friendly and patient. She understands and cares about my concerns and gives me helpful tools to fight anxiety and depression which I can use after the sessions. Shawna responds to my messages quickly and demonstrates flexibility in different ways of communication. She's trustworthy and considerate. I enjoy my conversations with her. Shawna has helped me through a particularly difficult time in my life and helped keep me safe checking in everyday. She's a counselor who understand my situation and always give me support. In those days when I was upset, I thought about her words also her worksheet sent me before. If I need help in future again, I'll find her as my counselor!!! Shawna is an excellent counsellor - I really appreciate how she quickly picks up on what is making me anxious or stressed and is able to not only come up with a solution (or at least steps towards one), but is able to tailor her suggestions and explanations in ways that are relevant to my experience. Shawna has been very understanding and has offered advice that has helped me feel more balanced and in control of my circumstances. 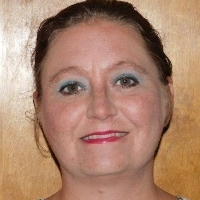 Would you like to write a review for Shawna Pankonin? We'd appreciate if you can spend a couple of minutes to write a short review for Shawna Pankonin (LPC). This review would be shared with Shawna Pankonin. It may also be posted in our website or in Shawna Pankonin's profile but it would be anonymous and your identity would be kept completely confidential.